Assistive technology is a catch-all term that applies to products, equipment and systems that enhance learning, working and daily living for people with disabilities. Simply put, it’s anything you can use to get around the difficulties that a disability can create. Assistive technology helps people who have difficulty speaking, typing, writing, remembering, pointing, seeing, hearing, learning, walking, and many other things. It includes everything from special-purpose computers, smartphones and smart homes (Alexa and Google) to wheelchairs, prosthetics, and modified tools for the kitchen. The field is exploding right now, with new software and innovative technologies available every day. Scroll through this section to get an insight into the organizations, programs products and services that are available specifically for people with spinal cord injuries. Different levels of injury have different needs. This section includes products, devices or equipment, whether acquired commercially, modified or customized, that are used to maintain, increase or improve the functional capabilities of individuals with disabilities. We also list the programs that are available to help pay for assistive devices, which can be very expensive. Some school systems have funds to help pay for programs that promote learning. Government programs (Social Security, veteran’s benefits and state Medicaid agencies) may pay for certain technologies if prescribed by a doctor. Private health insurance often pays for doctor-prescribed or necessary rehabilitative devices. Rehabilitation and job-training programs may also pay for assistive technology or assistance in finding a job. Employers may pay for assistive technology that is a reasonable accommodation to enable an employee to perform essential job tasks. 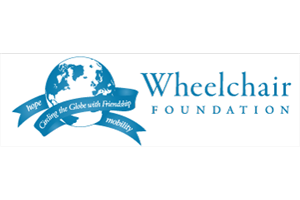 The Wheelchair Foundation is a nonprofit organization leading an international effort to create awareness of the needs and abilities of people with physical disabilities, to promote the joy of giving, create global friendship, and to deliver a wheelchair to every child, teen and adult in the world who needs one, but cannot afford one. For these people, the Wheelchair Foundation delivers Hope, Mobility and Independence. The Country Distribution List illustrates the scope of this remarkable project and lives touched. For more information about bulk requests for wheelchairs, contact the the Wheelchair Foundation World Headquarters.